At Conceptions Reproductive Associates of Colorado, we care for each patient like they were part of our family. You'll find empathy, encouragement, and caring that goes beyond the norm. We understand fertility treatment and the challenges that it can present. In fact, many on our team have been through the process. So we're tuned in to your needs making your journey simple, empowering and effective. Whether you are interested in fertility testing, or are ready to to start treatment like IUI, IVF, or third party reproduction, like egg donation, you can count on Conceptions to inform and guide you every step of the way. Visit our website for more information or schedule your initial consultation at one of our Colorado locations to get started right away. 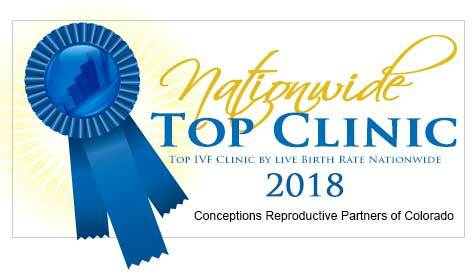 View more IVF Clinics in Colorado.